Diekmann, O. (1996). 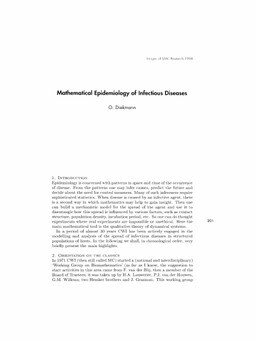 Mathematical Epidemiology of Infectious Diseases. In G.Y Nieuwland (Ed.), . Stichting Mathematisch Centrum.